The most interesting of the stories was her novella Bloodchild, which is about a child that is about to be “sexually” adopted by some alien worm-thing. The story encompassed the feelings of the boy, his mother, and the alien – providing some very startling insight. After each story, Butler included a short essay of what she intended the story to mean or background in her life when the story was written. These brought further understanding to the story, though I was a little skeptical when she insisted that she hadn’t intended Bloodchild to be about slavery. But, I guess, sometimes meanings creep in there unintended. And there’s also something to say for the readers’ interpretation regardless of intended meaning. To me, slavery was one of the many underlying themes of the story. At the end of the book, Butler included a couple of essays about what it was like being an African American science fiction author, and encouraged young people to follow their dreams and become authors. Finally, there were a couple of never-before-published stories. This little book is well worth your time if you are interested in deeper cultural issues of race, slavery, and sexuality – possibly even if you are not specifically interested in science fiction and fantasy. This post is for R. I. P. X @TheEstellaSociety and the 2015 Halloween Reading Challenge @ReadingEverySeason. It is also for #Diversiverse, @BookLust, which is all about reading books by people of a variety of ethnic/racial backgrounds, so I will provide tell you a little about the author, Octavia E. Butler. Octavia E. Butler was born in 1947 into an impoverished African American community to a 14-year-old girl. Despite struggling with dyslexia, she had a passion for reading and writing ever since she was very young. As a teenager, she started attempting to publish her stories, despite the extreme difficulty for African Americans publishing science fiction / fantasy. At the time she was one of only a couple African American sci-fi writers. Despite being taken advantage of by money-hungry agents, she finally published Patternmaster in 1976. This book was praised for its powerful prose, and she ended up writing four prequels. She finally became mainstream upon publication of Kindred in 1979. Butler died outside of her home in 2006. Next Post Does the DSM-5 encourage overmedication? 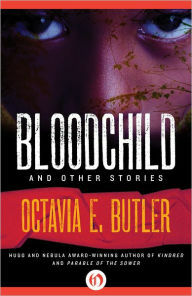 It has been a long time since I read Ocativa E. Butler. I read a few of her books a very long time ago. I really should revisit her work. I think that it is interesting that she included commentary with each story. I like this as I love to dig into the inner meanings of tales. On the other hand perhaps this would inhibit a reader from trying to self interpret what is going on beneath a story. Of course, I have heard of Octavia Butler, and even saw her novel, “Kindred” at B&N.ond day. I really should have picked it up! And now I discover this book of short stories, thanks to you! Well, I think I really must start reading Butler, having received two “messages” prompting me to do so! This collection sounds very unique, in that Butler has included explanatory essays for each. These give the reader some background for each story, helping in understanding each. Very interesting! Yes, she's fantastic. You should definitely read something by her. I'll probably try to read all her books at some point.